Netsweeper offers cloud based web filtering available to schools and local authorities with emPSN. Netsweeper is a performance leading web filtering vendor that has provided filtering solutions to the UK Education market for over 18 years and is trusted to protect the networks of over 30% of schools in the United Kingdom. Netsweeper resides in over 63 countries, is localised in 30 plus languages, has categorised billions of URLS, and is used to filter over 500 million devices worldwide. The web as we know it is consistently changing, and by navigating to http://www.netsweeper.com/live-stats/ one can see in real time the new content Netsweeper is categorising each day. Offering a global collective community experience means that new content created on the web is accurately categorised and blocked, keeping education networks in the UK safe from new threats. The Netsweeper solution has been configured for redundancy and scalability and the services provided by Netsweeper are designed and built to be available and operational 24 hours a day, 7 days a week, 365 days a year. The service is configured in such a way to remove single points of failure. The Netsweeper Web Security Platform is driven by core proprietary technology that reviews and categorises new websites in real-time in over 60 categories. This Artificial Intelligence based system or CNS (Category Naming Service) uses the search activities and multi-tenant database patterns of more than 500 million devices filtered worldwide to constantly identify new entities and threats on the Internet. To date, Netsweeper has categorised billions of URLs in 30+ languages. Allow access to social media sites such as Facebook, but block specific activities within the site, such as gaming or posting. Enforce safe search and keyword search controls for all major engines, including media search engines. Control whether users can send or receive messages and attachments for all major webmail services. Internet traffic is obscured by SSL, including some of the applications and sites that introduce the most risk for your organisation. Netsweeper’s approach provides the appropriate balance between security and performance by blocking at the hostname or by using NSProxy. NSProxy service is an advanced high speed proxy capable of delivering 6Gbps of SSL decryption throughput or support for 20,000 users. NSProxy solves a key filtering issue as more websites become SSL-enabled. The Netsweeper NSProxy can optionally break encryption to examine the HTTP requests secured with SSL/TLS. The NSProxy service can also filter HTTPS using the Service-Name-Information contained in the SSL/TLS handshake and filter by hostname without breaking encryption. NSProxy provides selective inspection and decryption at the edge gateway; i.e., allows trusted SSL traffic through and decrypts per your policies for optimal security and throughput. Netsweeper’s Web Security Platform detects zero-minute and known malware threats. By correlating a combination of current traffic and request trends, multiple detection technologies, automated machine-learning heuristics, and the industry’s largest data set of web content, Netsweeper provides the most effective solution against new and known malicious web content. Netsweeper’s signature-based scanning detects known web malware residing on both reputable and uncategorised web pages. As is expected in a signature based solution, Netsweeper’s solution utilises multiple anti-malware scan engines which cover all known spyware and viruses, with regular updates hourly and immediate updates for outbreaks. Every new URL requested is automatically scanned utilising this engine and the current URLs in the database are regularly scanned to ensure their current legitimacy. The Netsweeper Web Security Platform was designed as a distributed multi-tenant platform to ensure flexibility and instant interoperability with existing network infrastructures. A simple configuration change to a firewall, router, or proxy solution allows administrators to instantly protect and enforce Internet use policies for all users connected behind the device. Furthermore, optional lightweight mobile and desktop clients are available for Windows, MAC, OSX, Google Chrome, Chrome browser, iOS, and Android ensuring that roaming or off network users are protected regardless of their location. On the 12th of March 2015, the UK Government issued the Prevent Duty Guidance that places a duty of care on schools stating it is now mandatory for schools to have a “duty regard to the need to prevent people from being drawn into terrorism”. 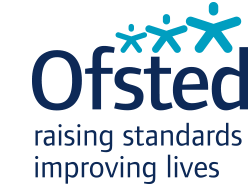 OFSTED, the UK education regulator has been given responsibility of monitoring how well the duty is being implemented in schools. Specifically, how well the school is performing in preventing extremists from seeking to radicalise learners as well as how well they support those learners perceived to be at risk of extremist influences. This this is now a key requirement for OFSTED to inspect moving forward. To meet and exceed the requirements of the Prevent Duty Guidance Netsweeper has developed a comprehensive strategy to prevent radicalisation and terrorist content from reaching students and staff. Read more about Prevent Duty strategy. As part of its new partnership with emPSN Netsweeper offers two different options for emPSN customers. It is possible to upgrade at any time during the period. Advanced filtering: Netsweeper offers advanced web filtering with policies available to be managed by the school. Netsweeper seamlessly integrates with active directory meaning customers that wish to manage their own filtering policies will be provided with a portal account to manage their own policies. Customers also have access to delegated management and can have access to more than one portal if needed. Transparent filtering: Netsweeper Transparent Filtering solution on emPSN is the next generation of web Filtering technology enabled to provide next generation security and network monitoring. The solution will transparently filter all traffic configured to transparently route through the Netsweeper emPSN Cloud solution. Empowering your Internet Experience, this new emPSN solution utilises next generation firewalling as well as Netsweeper’s filtering technology, enabling your users to have a clean, safe, Internet experience. The solution has been implemented with high availability utilising the latest in load balancing and high availability technology to provide a complete redundant and reliant system. Netsweeper aims to deliver market leading technology to the education sector and has done for over 18 years in this sector. With transparent filtering, proxy settings are no longer a requirement with deployment made simply by altering settings at the router level rather than device level. Netsweeper has engineered the solution so that no hardware or software is needed to be installed on the schools site and instead schools can have access to their own administration platform from the cloud. Per user policies and reports can be accessed from the schools platform to deliver highly intuitive and granular control over staff and student access with education based categories. Netsweeper offers a highly-experienced UK based systems engineering team, which offers a seamless transition between your existing provider with minimal to no downtime. The Netsweeper Helpdesk is available during the hours of 9:00am to 17:00pm, Monday to Friday, excluding Public Holidays. Customers may contact Netsweeper via existing support channels, or utilising the Netsweeper customer portal at http://helpdesk.netsweeper.com/, by email, or by telephone. Full support contact details will be provided as a part of the service commencement along with the complete SLA documents. Netsweeper offers a flexible user based licensing model for filtering its customers with both one or three year options available. Netsweeper offer free demonstrations of their web filtering product. Get in touch with Netsweeper either via email: sales@netsweeper.com or on the phone: 0113 3970453.